Lightweight MNX Camo shorts, made of 100% cotton. Elastic waist with stylish drawcord. Pockets on sides, one on the back and special patch cargo pockets. 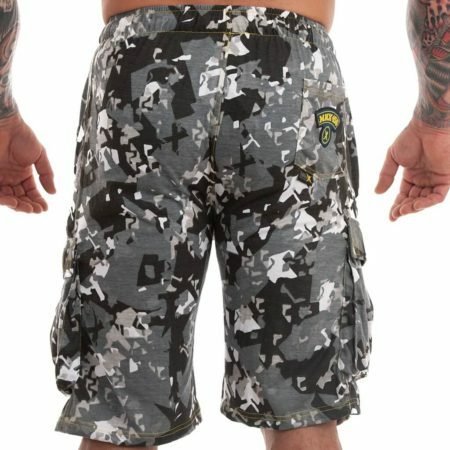 Shorts are printed with unique MNX inspired camo pattern. See also our Camo Stringer tank top and Camo Hooded tank top. Mesh shorts in blue color. 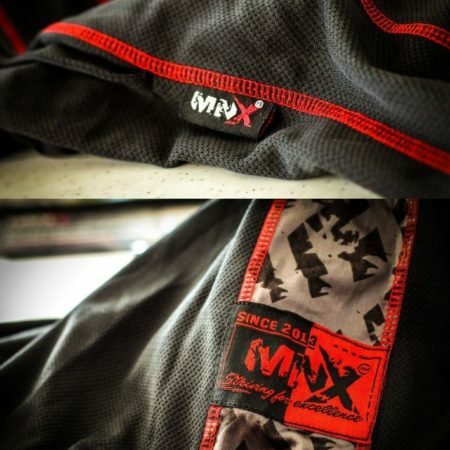 MNX woven logo on both sides. Perfect choice for those who prefer wearing clean look apparel. Check also other colors: Black line mesh shorts and Blue line mesh shorts. Mesh shorts in blue color. MNX woven logo on both sides. Perfect choice for those who prefer wearing clean look apparel. 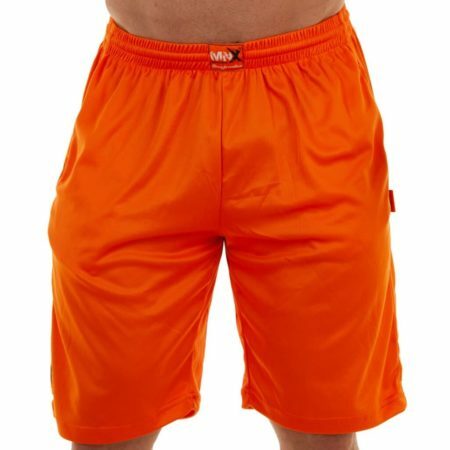 Check also other colors: Black line mesh shorts and Orange line mesh shorts. MNX basketball mesh shorts with printed details. Elastic waistband with inner drawcord for an adjustable fit. These shorts are classic basketball shorts without pockets. Check also our Basketball jersey no. 89 that was designed to be combined with this great product. MNX cotton shorts The core in black are made of 100% cotton. Big pockets on front and one on the back. Elastic waistband with inner drawcord for an adjustable fit. Embroidered patch “The Core” on front and back. Check also The Core cotton shorts in red color, The Core T-shirt, The Core ripped stringer tank top, The Core ribbed tank top and The Core hoodie and create yourself a perfect outfit. MNX cotton shorts The core in red are made of 100% cotton. Big pockets on front and one on the back. Elastic waistband with inner drawcord for an adjustable fit. Embroidered patch “The Core” on front and back. Black drawcord and bottom of shorts. Check also The Core cotton shorts in black color, The Core T-shirt, The Core ripped stringer tank top, The Core ribbed tank top and The Core hoodie and create yourself a perfect outfit. MNX yellow shorts, made of breathable mesh fabric for super soft feeling. Loose fit for more comfortable wear. Elastic waistband with inner red drawcord for an adjustable fit. With zipped pockets on both sides. Available in sizes S-3XL. 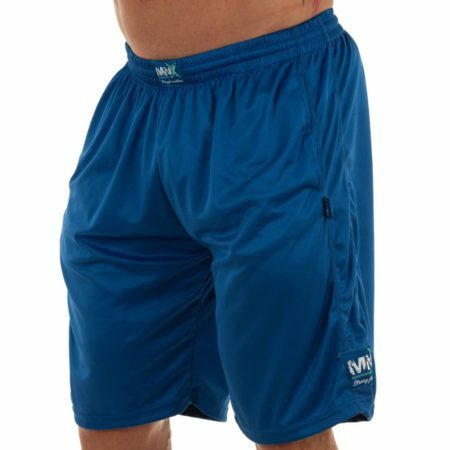 MNX workout shorts made of stretch fabric and elastic waistband for tight fit. With unique MNX printed design and red stitches. Available in sizes S-2XL. MNX cotton shorts Aether with unique skull design for all true bodybuilders. Red small details and pocket on the back. Special edition red embroidered patch. Available in sizes S – 3XL. Choose also our Reflection T-shirt and create a perfect outfit. 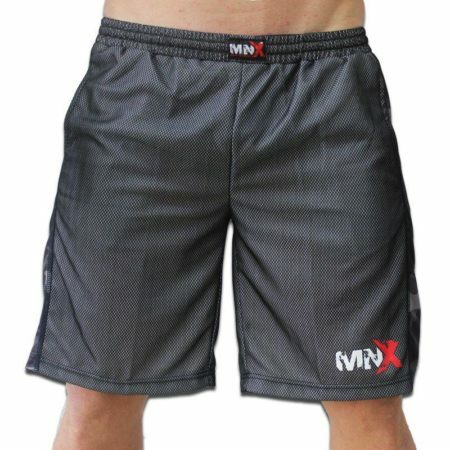 MNX basketball shorts, made of 100% cotton for comfortable wear. Classic design with red stitches and pocket on the back. With special red embroidered patch. Available in sizes S – 3XL. Check out this mesh basketball shorts, made of premium material and with cool print. We added zips on pockets, so your cell phone will not fall out. 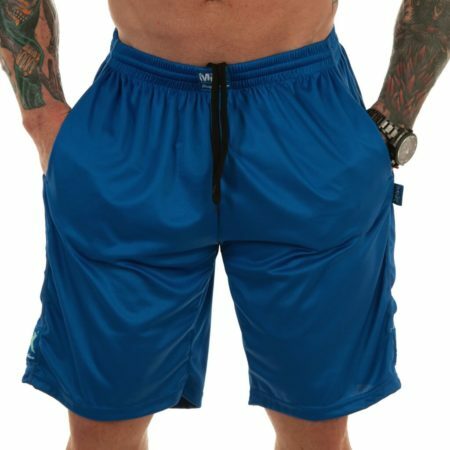 This shorts are extremely comfortable while training and also very fashionable for daily outfit. Cool mesh basketball shorts with “86” print in front and back are perfect for wearing in gym or while going out. Pockets come with zips. The design and material were chosen carefully in order to achieve maximum comfort. Mesh shorts in black color. MNX woven logo on both sides. Perfect choice for those who prefer wearing clean look apparel. 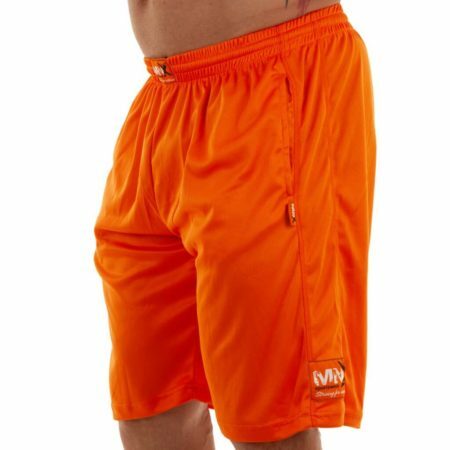 Check also other colors: Blue line mesh shorts and Orange line mesh shorts. Mesh shorts in black color with unique design. 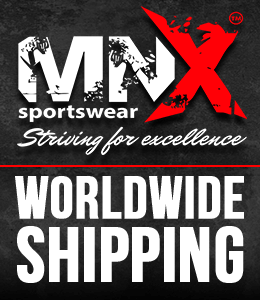 With a cool pattern printed and MNX woven logo on both sides make your look fresh and new. 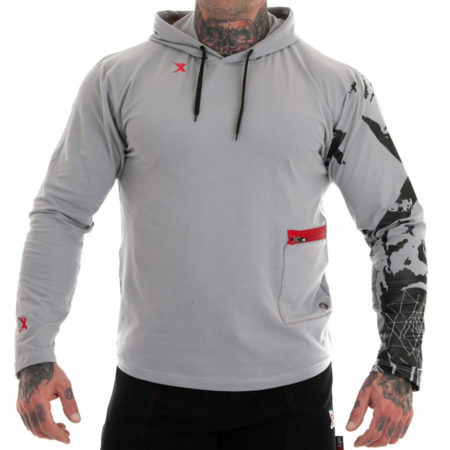 These shorts are part of the X-FORCE collection with HOODIE and MESH PANTS. MNX mesh shorts with army camo line and white print “MNX SPORTSWEAR” on both sides. Copyright © 2019 Arbos d.o.o. All Rights Reserved.